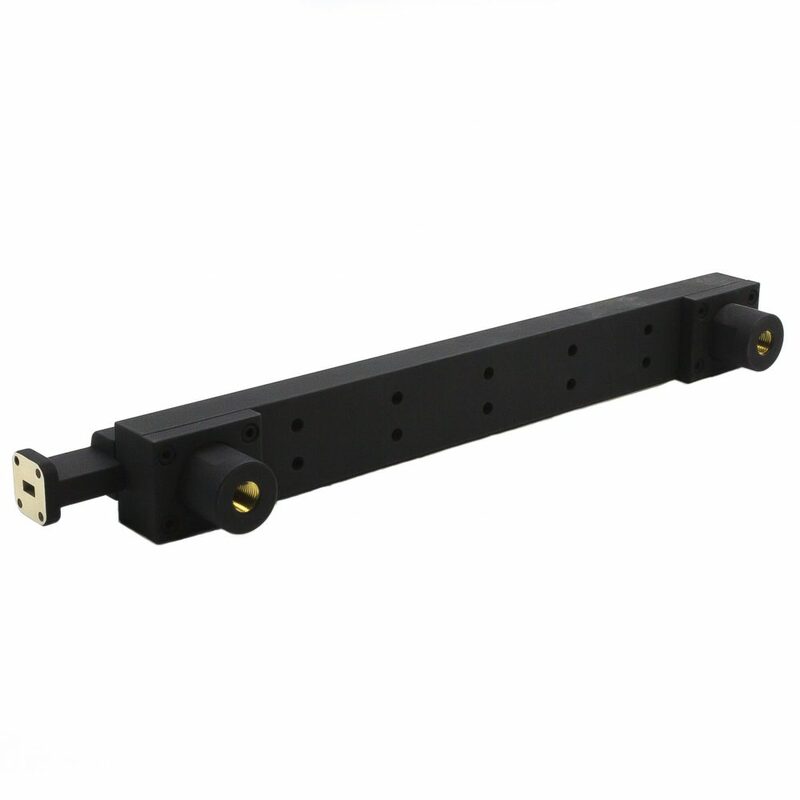 M.E.C.’s liquid cooled 80-W Series terminations operate with a VSWR of 1.05:1 max. Thirteen models cover the full waveguide frequency band from 2.60 to 40.0 GHz. As dummy loads, these units ideally meet the demands of today’s extremely high-powered systems to permit operational check-out without radiating RF power. Unit construction utilizes high temperature absorbing material intimately connected to the waveguide walls for efficient heat transfer. All units are designed to operate in any position with a coolant inlet pressure of 100 PSIG (max.) and temperature of 150º F (max.). Units are aluminum with MS33656E4 ¼” flared tube fittings for the liquid coolant connections. Optional sampling probes from 30 to 50 dB, with typical sampling flatness of ± 0.5 dB across the entire band, may be supplied as separate units to monitor power. Finish is chemical film per MIL-C-5541, Class 3, followed by high-temperature black epoxy enamel. (3) Customized mounting, half-height models, frequency ranges, flanges, coolant fittings, and pressures are available upon request. All customer designs are welcome.